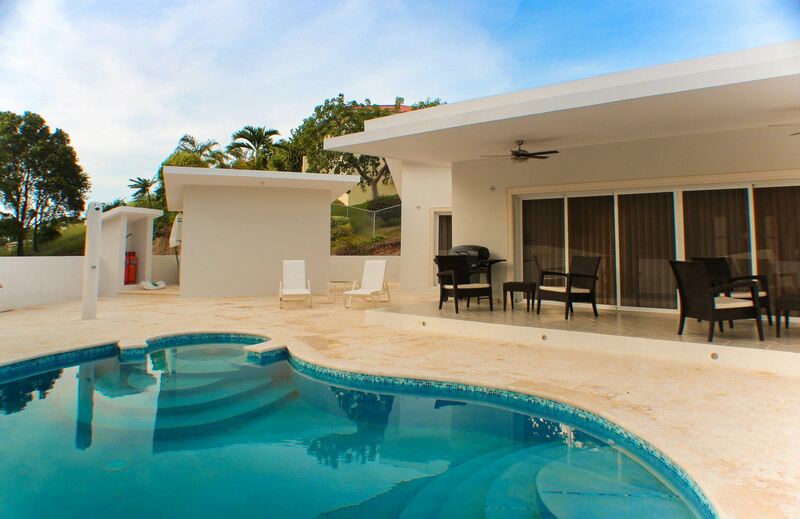 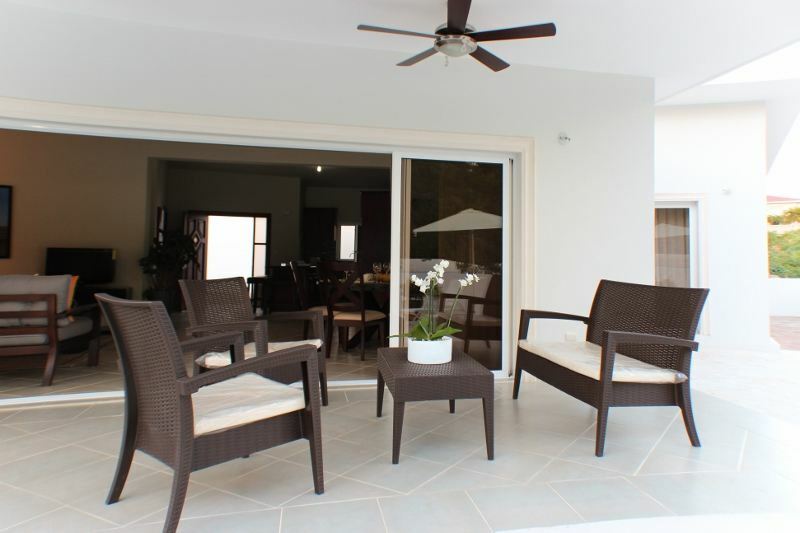 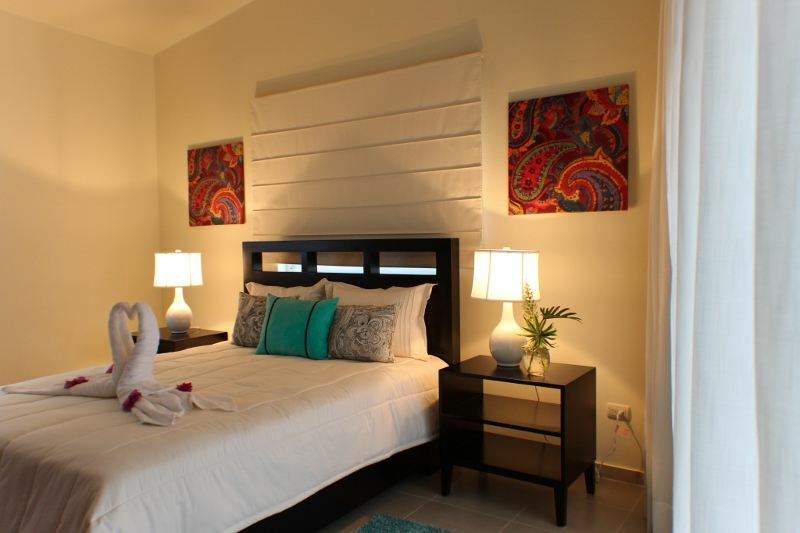 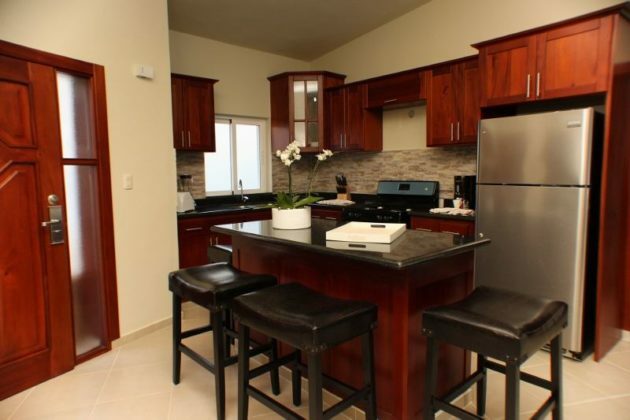 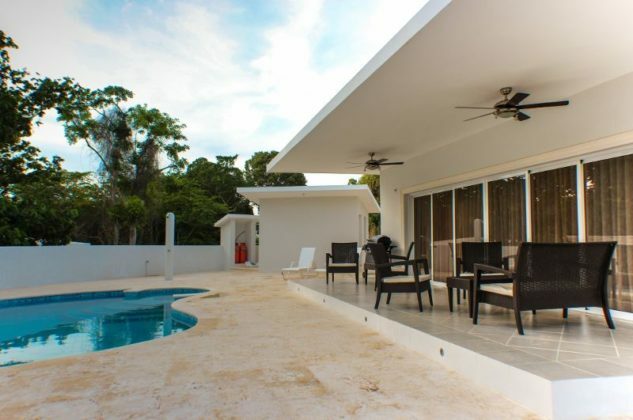 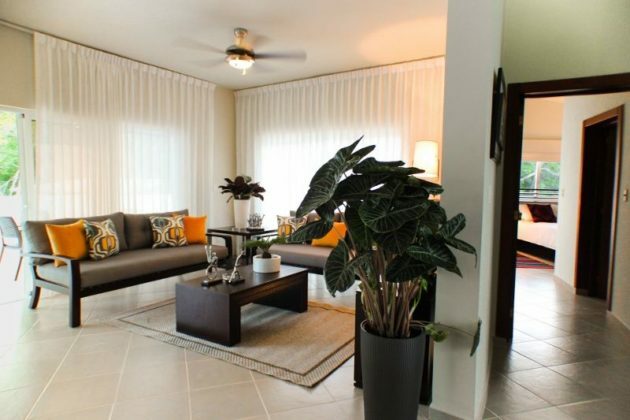 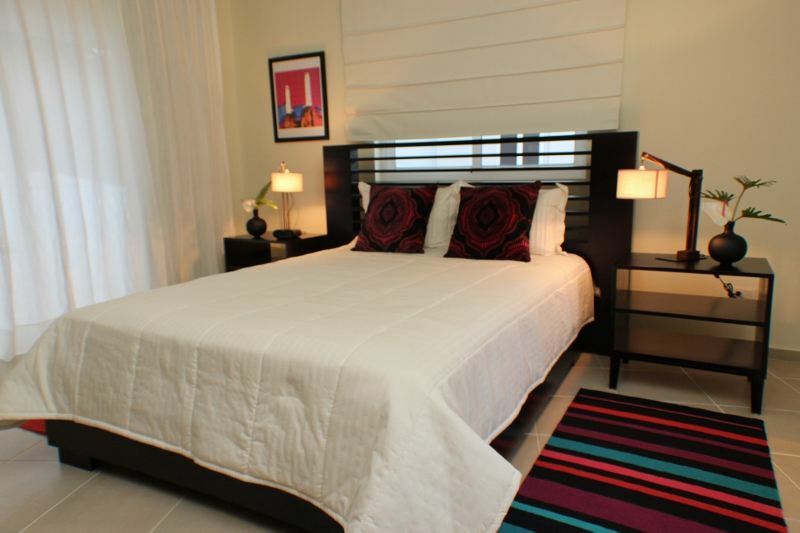 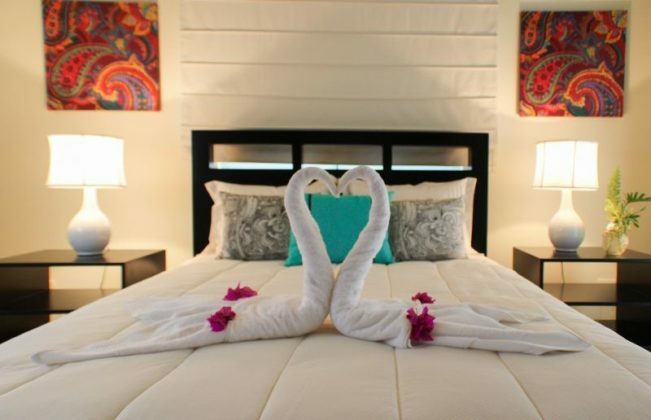 Very convenient 2 bedroom vacation villa rental designed for a true R&R experience. 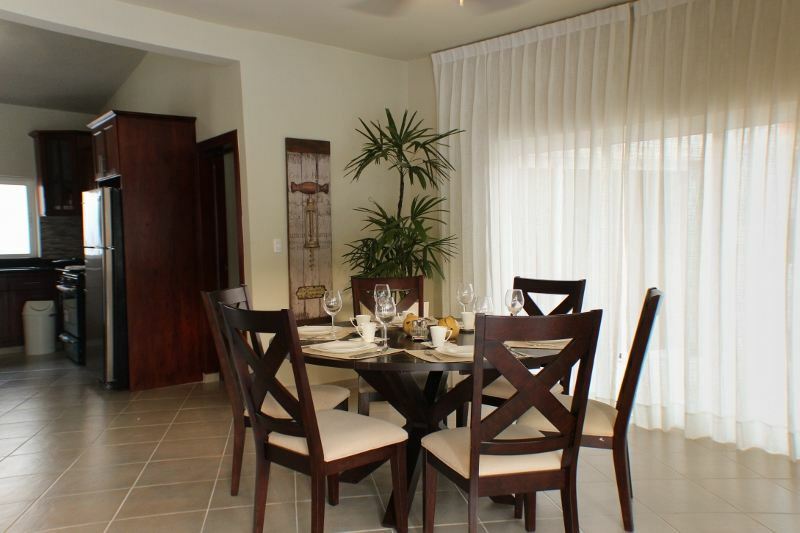 The interiors are painted in light tones to bring in light from the outside, with white curtains and contrasting dark wood furniture pieces with color accent details. 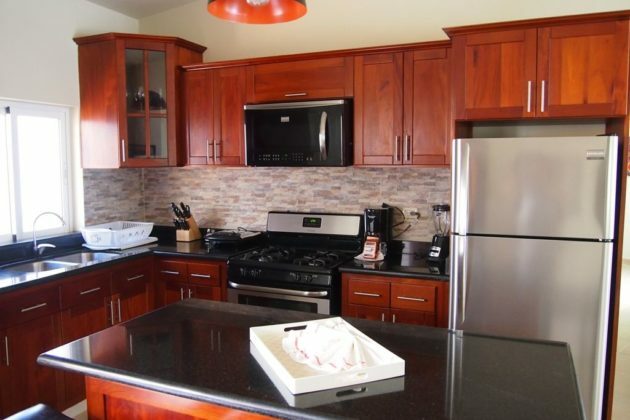 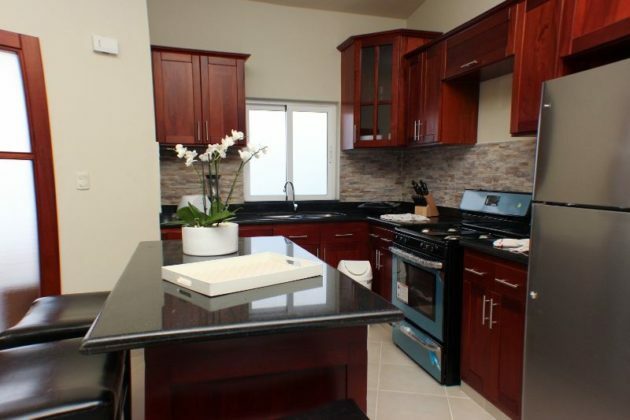 The fine wood kitchen is fully equipped with stainless steel appliances, cooking utensils and a center island. 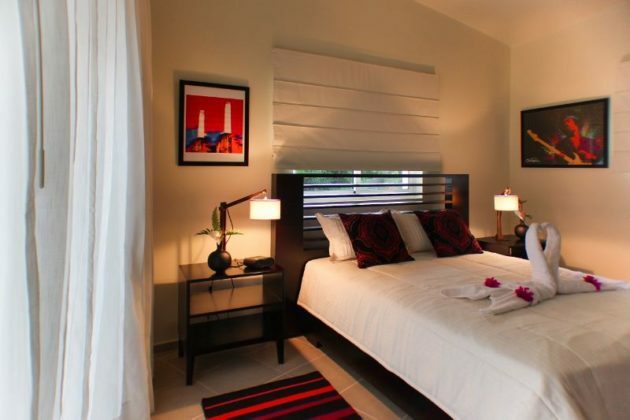 The two bedrooms feel quite chic, featuring Roman-style blinds, modern decor and light tone curtains. 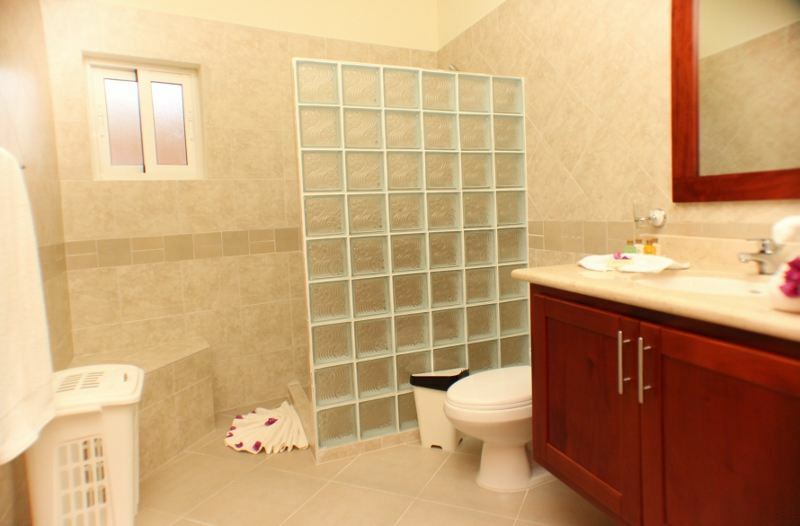 There are two bathrooms in the vacation villa Rental Sosua #610 Dominican Republic, boasting imported tiling, glass block showers and fine vanities. Outside, the swimming pool has a beautiful free-flowing design and coral stone deck, that keeps the deck always at perfect temperature. 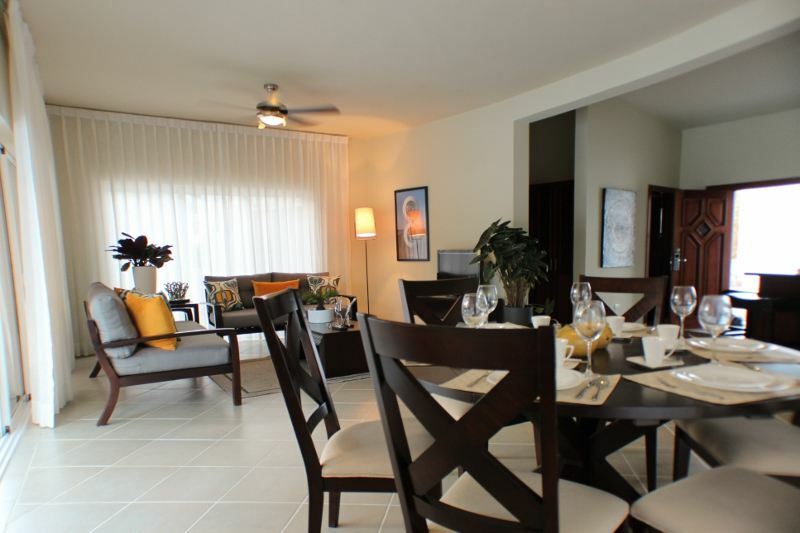 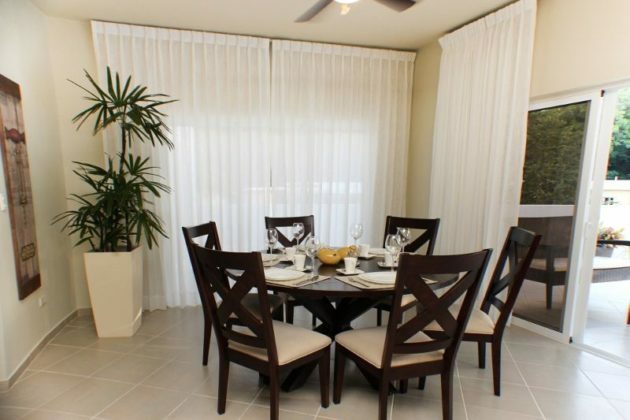 Community features are included, such as maid, cable TV, Internet, pool cleaning and security. 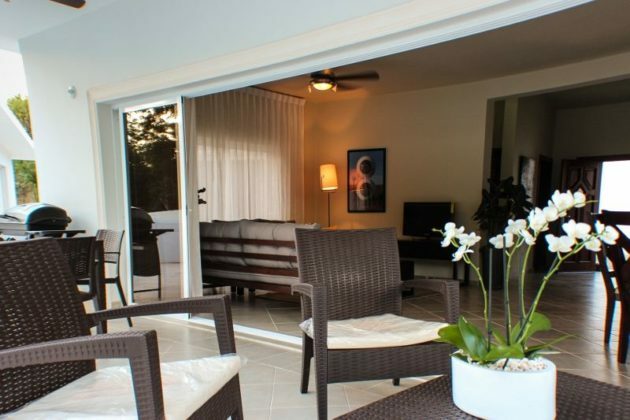 Visitors can reach town and nightlife in under 5 minutes by car. 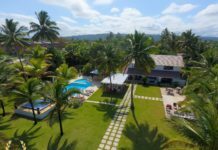 This Sosua villa can offer optional services such as private chef, driver with van, access to VIP areas of the local clubs and a catalog of available tours in the North Coast via the concierge. 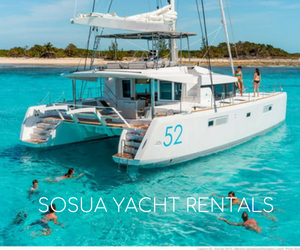 Sosua fishing tours and yacht parties in private yachts are also available through the customer service department.